The Doodles that adorn Google's homepage have become a hallmark of the company's famously quirky spirit. Some of them are informative, some are inspirational, and some are even interactive. However, it's pretty easy to miss new images if you're not checking the Google home page daily or keeping close tabs on the official Twitter account of Google Doodles. Starting today, you can begin receiving notifications on your phone when new Doodles are posted. If the people in your home get regular use of a Chromecast, you're probably more than aware of just how inconvenient it is when the Casting device isn't handy. 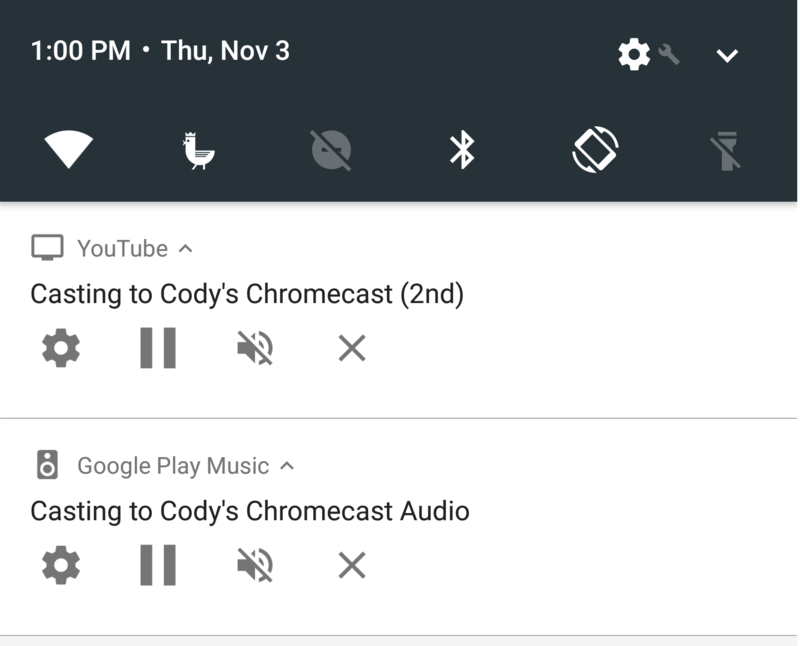 Sure, you can always pick up your phone or tablet and track down the Google Home app (formerly named Google Cast), but that takes a lot of taps – and most people don't have it installed or even realize it has player controls. 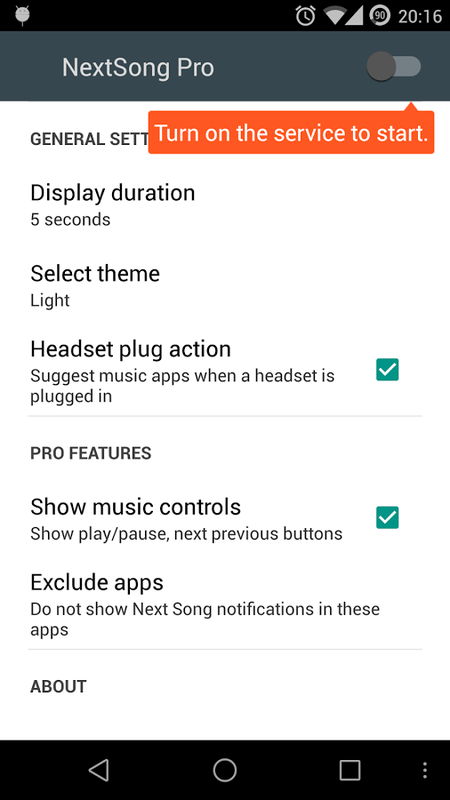 The latest update to Google Play services takes care of this little issue by adding a long overdue and oft-requested feature: it pops up a notification with player controls anytime a Cast session is active. Over the past few days Android users have been noticing an annoying notification that pops up after using the Facebook app and watching any video. 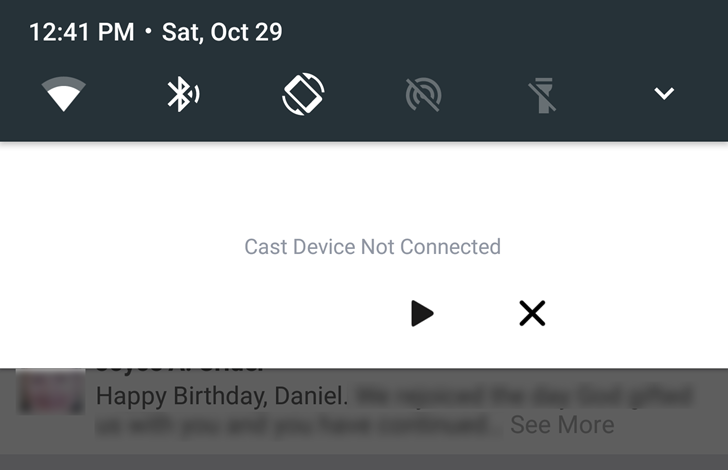 It says "Cast Device Not Connected," and includes a play and close button... and that's it. The notification opens the Facebook app when it's tapped, but the buttons don't do anything and it can't be dismissed with the usual swipe. The only way to kill the notification is to force close Facebook. We've taken a look at the APK for the latest version of YouTube, 11.29, and there's some mildly interesting bits under the hood, but not much that's user-facing. 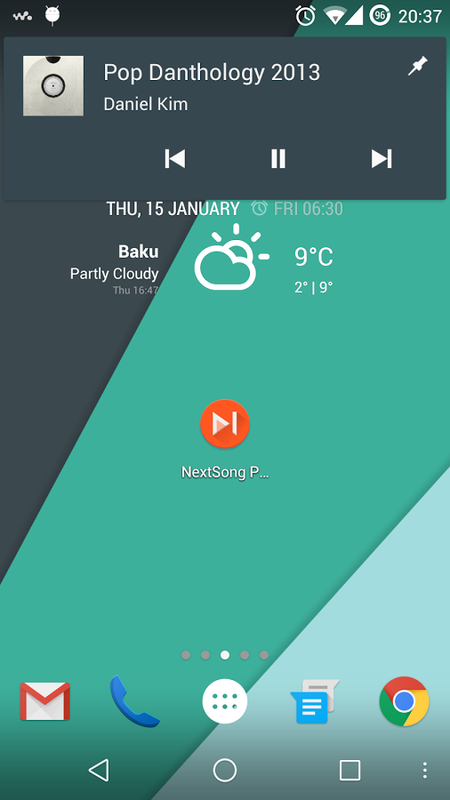 There's one exception: the little "X" button to close the notification has returned. See it up there? It's back. Hooray! Of course you only get the notification if you're 1) subscribed to the YouTube Red premium service and 2) have background play enabled in the app's settings menu. 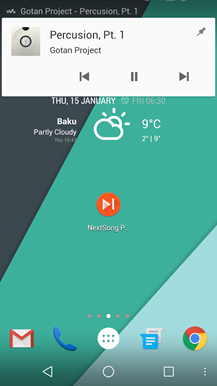 The button inexplicably disappeared from the notification after an update late last month. Now it's back. A couple of very useful features have started rolling out to a few lucky Google Maps users in the last couple of days. If you've been following along with our APK Teardowns, you might remember sections covering notifications for mass transit delays and an option to restrict data usage to Wi-Fi only. If you've been eager to see either of these, now might be a good time to open up Maps and poke around. But it looks like both features are launching as staged rollouts, so don't be too surprised if you're not in the opening group. For the designers in our audience, I'm back with another quick Sketch resource to download - this time, it's a sticker sheet for N-style notifications. There are eight variations, plus a simple frame to stick your sample notifications in. 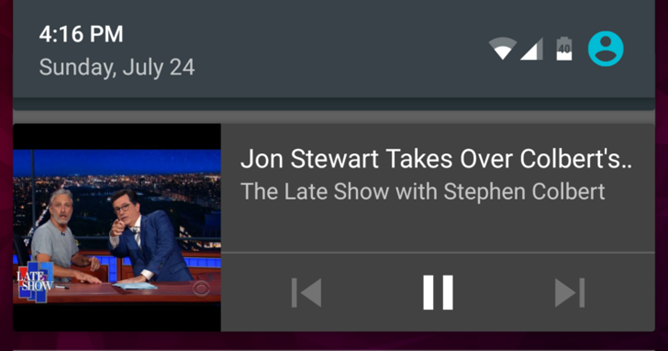 Android N's notifications actually follow a very predictable style so far. There's a header line, which usually has an icon, app name, some secondary identifying info, time, and an expand/collapse toggle, and then there are two lines of text. The top line is primary messaging or identifying info (like a message-sender's name) and the second line is a secondary message, explanation, or text preview. 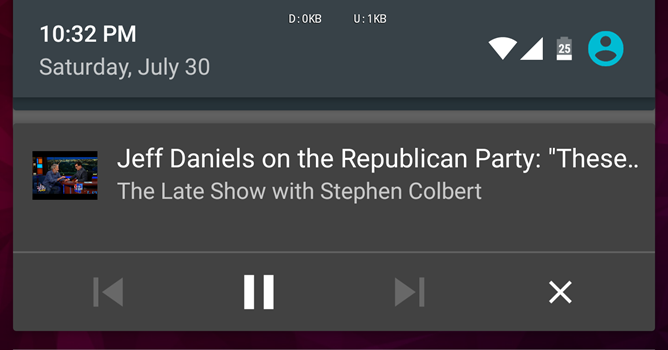 Did you know that Chrome on Android can handle downloads in two different methods? Before we got this tip, I sure didn't and it took a little investigative work to get to the bottom of this difference. See, there are two ways you can trigger a download in Chrome. One is by clicking on a link that opens the bottom pop-up asking you if you want to save a file (think APK Mirror) and the other is by long tapping on any embedded content (usually media) and selecting save. 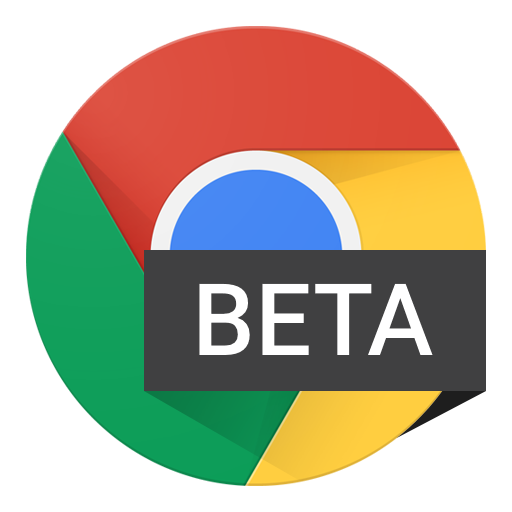 The first triggers the Downloads app (or Download Manager) from Android, the second triggers Chrome's built-in download manager functionality. From a user-facing standpoint, the only directly relatable change came to multi-column layouts in Chrome. 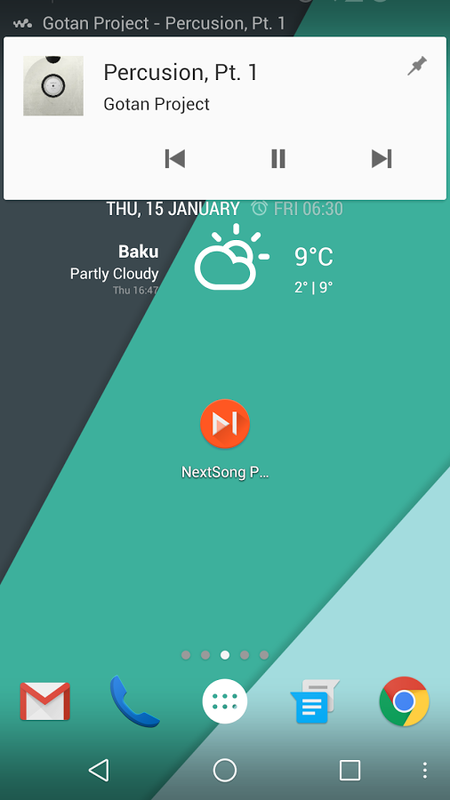 Considering how popular the various high-profile music services have become on Android, it's a little strange that none of them have offered something like NextSong built in. It's strange, that is, until you remember how slow most of them are to conform to new Android functions like heads up notifications. 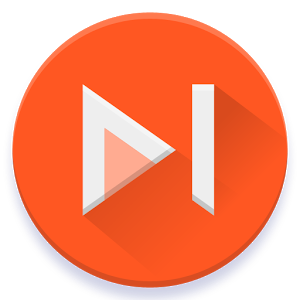 In any case, music fans should definitely check out this handy app from independent developer Reactiv Sudios, whom we've featured before on Android Police. 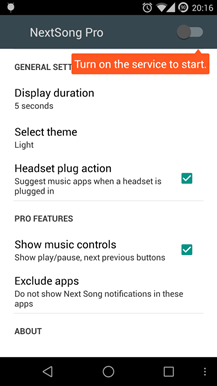 NextSong places a heads up notification on your screen for every new track, giving you info on what's playing without forcing you to lower the notification shade or dig into the Recents menu.